Getting into the gigging scene can be tricky at times. This excellent article by Jon Fellowes from Lastminutemusicians.com gives some great advice for anyone looking to get their sound out there! Exactly Where Can You Find Paid Gigs? Putting in your time practising and learning new songs can be rewarding as a guitar player, but what if you want to make the next step up and become semi-pro or a full-time professional guitarist? Well first things first, you’re going to need to bring in some cash to fund new projects, promotional material and new gear! Thank fully Last Minute Musicians is here with our quick guide to getting paid gigs as a guitar player, with a few traditional types of paid performance and what you’ll need to do the show! If you’re an acoustic guitarist you may well want to consider some acoustic solo sets or perhaps as par of a duo with a singer. Restaurants, bars and clubs regularly look for acoustic performers to enhance the atmosphere of their venue. 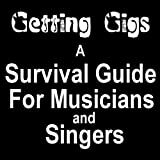 What you’ll need: A wide range of material really is a must for these gigs – make sure to have a slower, more “background” type set if you’re playing to diners and another more up-beat set of tunes to get people dancing in (or maybe on!) the bar. Many of these venues will also require you to have your own PA system. Example songs: “Ho Hey” by The Lumineers, “Sing” by Ed Sheeran, “Wonderwall” by Oasis. Two Man Band are a great example of an Acoustic Duo! This will very much depend on your style of playing, but there is a big call for solo Jazz guitarists for private events. Jazz guitar can add a real atmosphere of class to any cocktail party or wedding drinks reception. What you’ll need: A good selection of “realbook” Jazz classics (traditional jazz numbers) will be called for, as well as an extensive ability to improvise. For an added twist, try taking modern pop songs and playing them in a instrumental Jazz style. When it comes to equipment, a hollow body guitar and a nice valve amp is a great place to start, perhaps with a loop pedal to help you “comp” the rhythm parts. Try rolling back on your guitar’s tone knob for a more traditional jazz sound. An Entertainment Agent or Directory (such as Last Minute Musicians) will help you secure these bookings. Example songs: “All The Things You Are” “Autumn Leaves” and “Summertime” standards. While many pubs no longer have the budget they once had for live music, they can still be a regular source of gigs and, therefore, of cash. They are also a brilliant place to try out new material and help build your bands following. What you’ll need: A healthy selection of both classics and modern tunes will usually cover all the bases in a pub environment. Remember to keep your sets up beat and vibe off of whatever the crowd seems to be enjoying that particular night. Most pubs will require you to supply all of your own backline and PA. Remember, if you are using any house equipment; make sure you check it out beforehand to make sure that it is adequate and suitable for your band. Canvas the pubs in your areas for gigs and check out where similar bands are playing. Example songs: “My Generation” by The Who, “Paranoid” by Black Sabbath and “Song 2” by Blur. Some of the most lucrative events you can play at as a guitar player are weddings, corporate events (like product launches or conferences) and other functions (like birthdays or anniversaries), usually as part of a pop – rock band line up. What you’ll need: Bands like these have to be extremely professional, with high quality equipment, and slick well-rehearsed material that is suitable for all sorts of ages and events. If you’re planning to travel far, consider a van or other travel solutions. A good website and promotion material will help generate enquiries. If you are looking for more paid gigs as a guitar player, you should consider registering for a listing on Lastminutemusicians.com! Lastminutemusicians.com has over 3000 diverse and creative acts on the online entertainment directory. Potential clients can see pictures, read bios, watch video and listen to audio in order to ensure the act they select is perfect for their event. They simply browse through the listings (searching by price, area and genre) and negotiate directly with the band (who pay no commission on the booking). Two professional musicians founded Last Minute Musicians over a decade ago. It has since grown into a team of over 10 people, dealing with 50,000 enquiries and dealing with over 70,000 customers… in the last 12 months alone. Lastminutemusicians.com is revolutionizing the way people find their perfect entertainment. Check out all the latest GMI – Guitar & Music Institute posts.